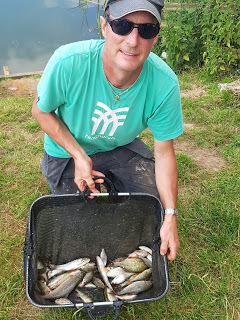 With being away, I missed the last match which Fieldy won with a fantastic 38lb caught on the short pole, Graham had six bream plus loads of roach, a lovely net of fish. The draw was at the pond today and as I arrived there were already a fair few cars there, Rob had a family function which meant Hurf was in charge, I paid him my pools and he said there were 16 booked in for the match, another great turnout. The pond was also well down as the farmer was pumping to irrigate his crops. 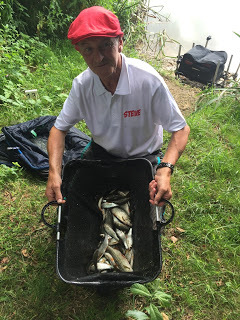 Hurf announced the draw and as always I fancied pegs 13, 14, 17, 18 or 19 and once again I waited until there were only a couple of pegs left in the bag and I had one and Ash had the other and in almost a carbon copy of the last match I fished, I pulled out peg 4 again and Ash moved along one peg and was on 18 this week. I reckon he’d need a sat nav if he drew on the far side and it looked like I’d used up all my ‘turtle luck’ in Thailand! I drove round and dropped my kit off and once again I wasn’t too far away from Jess ‘Zooner’ Jordan who was on peg 2. This weeks side bet club was Hurf, Harry, Steve ‘Nob Budd’ Parker and me. 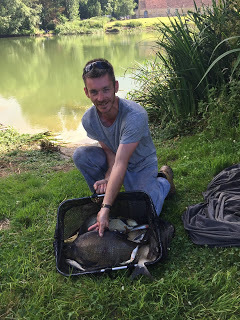 After setting my box up, I mixed up some groundbait which this week was a mix of Bait-Tech Pro Nat Bream, Thatchers Dark plus some of the green crumb I brought back from Thailand. Rigs were the normal 0.5 gram Drennan Roach for fishing on the deck and a Preston Chianti for up in the water. 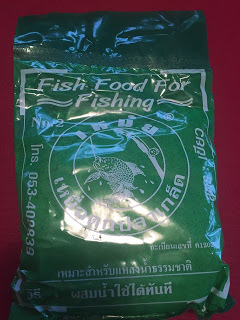 Were the fish ready for my Thai groundbait? On the whistle I cupped in two balls of groundbait at ten metres and started on the deep rig, first chuck the rig didn’t settle and a small roach was swung in, I caught really well for the first hour, mainly roach around 1-2oz but I also had a 4oz perch and a couple of nice rudd and after sixty minutes, the clicker was reading 38 fish for about 3-4lb and a decent start. 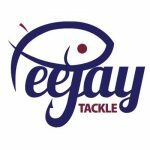 Alvin on peg 7 had landed a couple of skimmers on the feeder and I could see Fieldy down on 15 catching quite well and Ash was netting a few fish on his usual shallow approach. I’d been feeding hemp and caster and there were plenty of swirls from decent roach and rudd so as the second hour began I picked up the shallow rig, first put in, the float buried as a decent roach nailed the caster but then I started missing bites and when I did connect with a fish they weren’t the quality roach I was hoping for, I did have a few 2-3oz chublets but I only added another 20 fish and I just can’t seem to get this shallow fishing right. 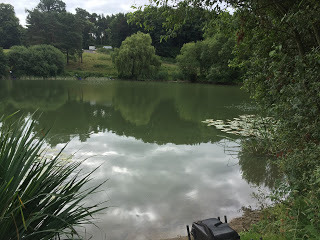 I started feeding a second line just off the lilies to the right but going into the third hour my swim was fading fast, Alvin then hooked a bream on just his top kit fishing by the reeds and then I heard somebody say that Jess had caught a good bream too. From what I could see nobody else was really catching much apart Fieldy and Ash who were catching small fish. 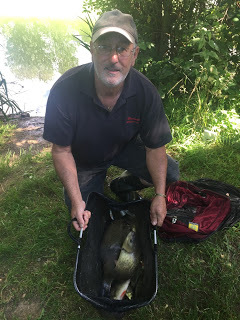 Then Bob who was on peg 3, shouted down ‘eejit’ and there was me thinking he was such a nice man! 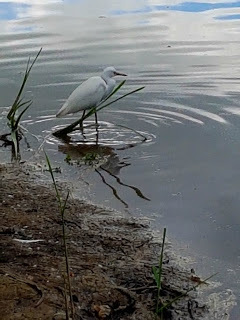 But it made sense when a little white bird flew past and he must have shouted ‘egret’. When I saw this beautiful bird I was relieved Bob wasn’t shouting abuse at me! 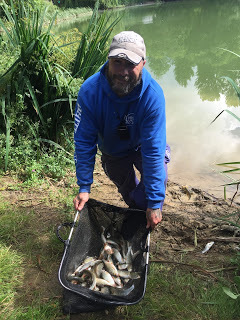 I tried the deep rig again and started feeding quite heavily and had a good spell where I caught a 4oz eel, some chublets plus roach including a couple of better ones but then disaster struck when I lifted the rig out the water and somehow managed to hook a dragonfly! Untangling it proved to be a nightmare as it kept flying off and when I finally managed to get hold of the beast it was either rapidly flapping it’s wings and getting more tangled up or it seemed intent on gnawing through the line! That little episode cost me a good ten minutes and throughout the day I seemed to get loads of those annoying little knots in the hooklength as well, it happened with both rigs several times during the day and a hook tying session is now required. 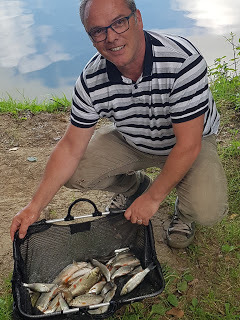 I carried on catching quite well and was well on course for 160 fish which at an average of 1.5oz apiece should give me 15lb or so which I thought would be enough to frame. 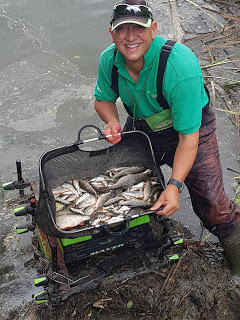 Alvin walked past to get some more groundbait from Jess and I asked how he was doing and when he said he had that good bream and ten or eleven skimmers, I knew he must have getting on for 20lb and there were still two hours to go! 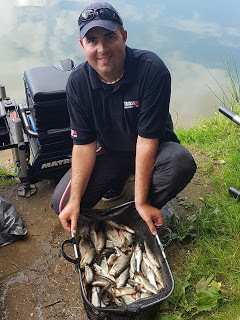 With about an hour to go, my swim slowed right up and I was only adding odd fish, including some very small rudd and I fell short of my target with the clicker reading 137 fish but I still thought I had around 12-13lb. 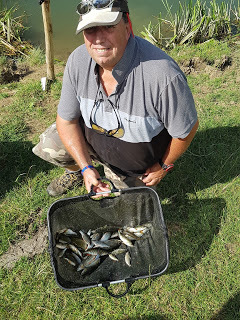 John Dursley on peg 24 on the other hand had a blinding last hour when he had five chub and a bream and he lost two good fish as well. 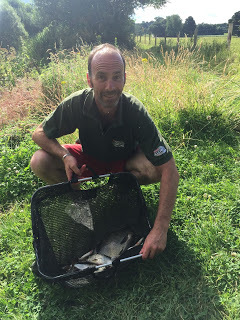 I packed up and took some of my kit back and as I walked past Bob, his net was already drying on the bank, Jess said he’d had a good bream, a chub plus some nice perch so I thought he’d be there or thereabouts. 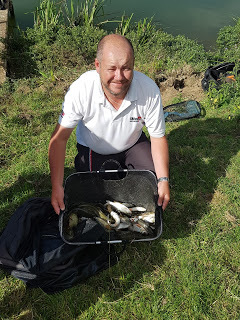 Nick had the scales and we started with Karl on peg 14, he had 4lb 15oz, which included some lovely roach, Steve ‘Nob Budd’ Parker next door had 7lb 14oz and then Adie Bishop had 11lb 8oz and I said it would be close between us. 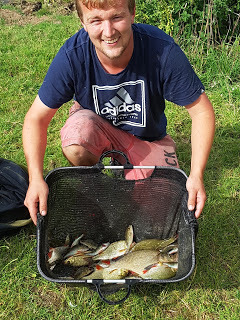 Nick had 6lb 9oz which included a nice skimmer and then Alvin had a lovely net of bream and skimmers weighing 28lb 10oz. Then it was my turn and I was a little disappointed to only weigh 10lb 14oz and once again my fish were on the small side. 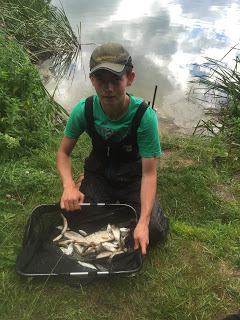 Last but not least was Jess and he had a nice mixed bag for 14lb 12oz. 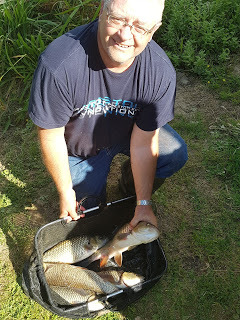 Back at the results and the other section had also fished really well, John Dursley had 20lb 12oz from peg 24 for second place, Fieldy once again fished a really good match with well over 300 fish for 19lb on the short pole and Ash had a lovely net of roach weighing 18lb 6oz which was only good enough for a section win! (and I thought those two were struggling!). Scotty had 10lb 5oz which included some nice eels and he lost several too. 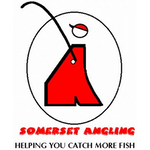 With half the anglers recording double figure weights, the pond had fished brilliantly yet again. *Thanks to Rob Cox for the photos. So the pond continues to fish really well but I’m just not getting it right at the moment although I did have the consolation of taking the £4 side bet pool.